The Hand Held ScanTeam 6920 has been renamed to the Honeywell ScanTeam 6920. SCANTEAM 6920 products are Magnetic Stripe Card Readers (MSRs) which attach to PCs through a Keyboard wedge interface. 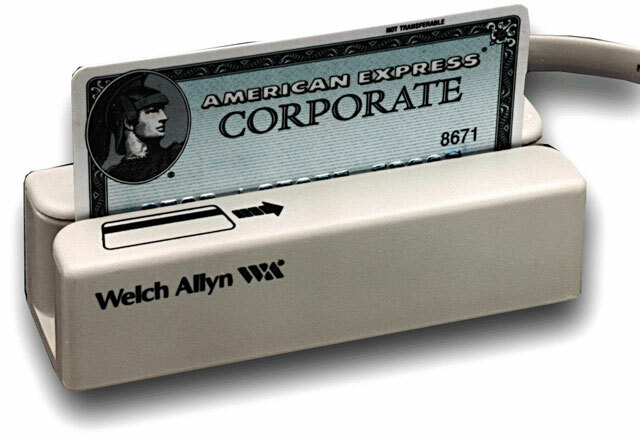 The magnetic stripe data transmitted by the ST6920 to the PC emulates keyboard data input. For many applications no PC program modification is required to input data from the ST6920. The ST6920 is a bi-directional card reader it can read cards swiped in either direction. A beeper and LED indicate a good read or bad read. Three versions of the ST6920 are available: ST6920-1: Track 1 2 MSR PC XT-AT-PS/2 Interface XT-AT Circular DIN Type Connectors ST6920-3: Track 1 2 MSR PC XT-AT-PS/2 Interface PS/2 and AT Clone Mini DIN Type Connectors ST6920-5: Track 1 2 3 MSR PC XT-AT- PS/2 Interface PS/2 and AT Clone Mini DIN Type Connectors. ScanTeam 6920 products are Magnetic Stripe Card Readers (MSRs) which attach to PCs through a keyboard wedge interface. The magnetic stripe data transmitted by the ScanTeam 6920 to the PC emulates keyboard data input. For many applications, no PC program modification is required to input data from the ScanTeam 6920 . The ScanTeam 6920 is a bi-directional card reader, it can read cards swiped in either direction. A beeper and LED indicate a good read or bad read. No external power pack required. Instant feedback to indicate good read or error.